…a quiet place to rest, change, nurse, and feed your little ones. 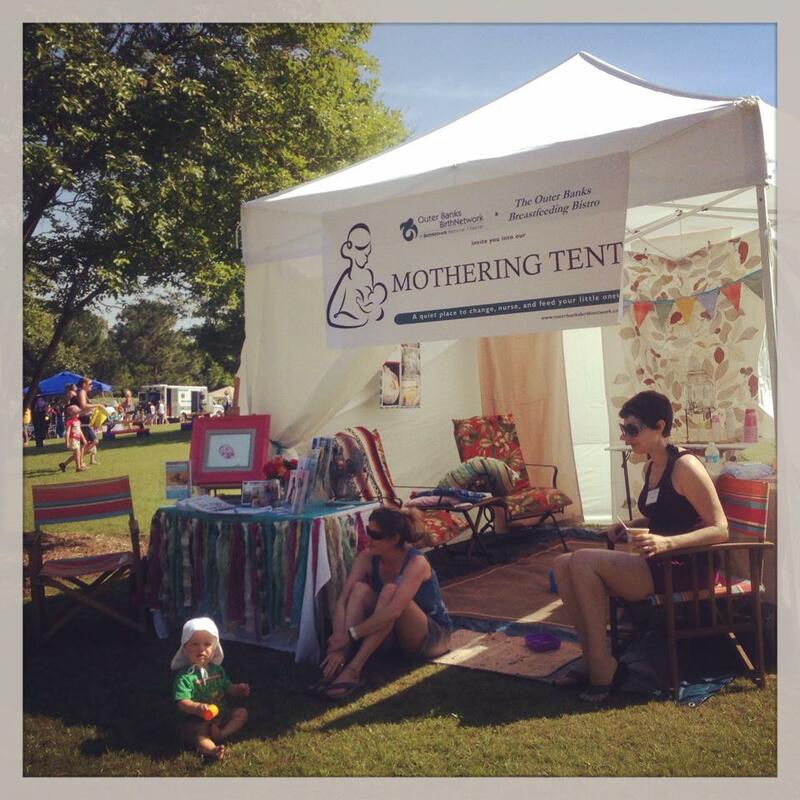 Outer Banks Birth Network and the OBX Breastfeeding Bistro provide a Mothering Tent at community events such as OBX Cares, Artrageous, New World Art Festival, March for Babies, and KidsFest. This quiet place to rock, rest, change, and feed your baby is an oasis for pregnant and breastfeeding mothers. We also provide free workshops and support groups for pregnant and postpartum families. Breastfeeding Bistro: Online and monthly face-to-face support group for moms who are or plan to breastfeed and the people who love them. Breastfeeding Peer Counselor Program: Nervous or worried about breastfeeding? Ask to be partnered with one of our experienced and trained peer mamas to take advantage of our free one-on-one support for mothers who plan to breastfeed or are newly breastfeeding! New Mom Group: A safe, non-judgmental space for mothers to explore the steps of wellness for being physically, emotionally, and spiritually balanced through the transition to motherhood. Outer Banks Birth Network Events: Monthly face-to-face meetings for pregnant and postpartum women and their families to learn about mother-friendly, evidence-based maternity care through workshops, guest speakers and film screenings. Younger Moms Outreach: Connect teen moms with community resources, options, and opportunities to support them in birth and motherhood. OBBN is a 501(3)(c) non-profit organization founded in 2010. All contributions are tax deductible.